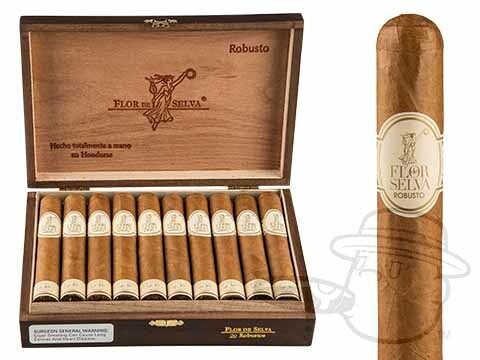 Handmade in Danli using 100% tasty Honduran tobaccos including a beautiful Connecticut-seed Shade grown wrapper, Maya Selva’s Flor de Selva cigar offers a robust medium body with smooth delivery of its rounded flavor profile. Woody with rich tobacco tones, the Flor de Selva offers a touch of delicious complexity with nuances of dark fruit and fragrant cedar. A little bit on the “rare” side with a uniquely satisfying character that’s well worth tracking down, the Maya Selva Flor de Selva is in stock and ready to ship at the lowest prices anywhere. Treat yourself now!